I am writing this letter to express my grave concerns regarding the abduction of Mr. Andargachew Tsege, a British citizen and a renowned critic of the Ethiopian government while in transit at Sana’a International Airport on June 23, 2014. I am particularly concerned that the continued illegal detention of Mr. Tsege is politically motivated and against international law. I urge the Government of Yemen to release him immediately and unconditionally. Mr. Tsege is a well-known pro-democracy and human rights advocate who is a man of high moral standards and dogged determination for basic themes of democracy. 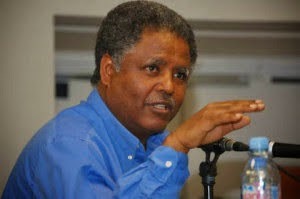 He has been vigorously campaigning for social justice and the rule of law in his native country Ethiopia. His abduction is unlawful and totally unacceptable. Mr. Tsege was imprisoned in Ethiopia for his political activities during the ill-fated election of 2005. He has since escaped assassination attempts. I would like to call on your attention to the doctrine of non-refoulement, which is a principle of International Law that forbids the rendering of a true victim of persecution to his persecutors. I kindly urge your government to adhere to these recognised principles aimed at protecting human rights. I trust you will do everything in your power to see Mr.Tsege released and united with his family as soon as possible. CC: The Rt. Hon William Hague, Secretary of State For Foreign and Commonwealth Affairs, UK. The Rt. Hon Hugh Robertson, Minister of State for the Foreign and Commonwealth office, UK.